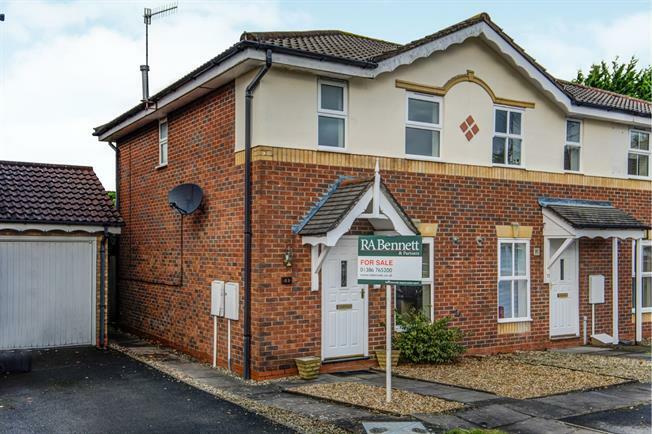 2 Bedroom Semi Detached House For Sale in Evesham for Offers Over £170,000. This modern home set in a cul de sac comprises; entrance hallway with access into the kitchen & lounge/diner with doors out to the rear garden & stairs to the first floor landing. To the first floor, there is access into the two bedrooms, the bathroom, airing cupboard & attic hatch. Externally, there are gardens to the front & rear & off road parking. With doors into both bedrooms & the bathroom. Access to the attic hatch. Newly fitted carpet.